Gorgeous home overlooking the neighborhood park featuring a large kitchen w/ center island, breakfast nook, granite countertops, 42 cabinets, stainless steel appliances & hardwood floors, a great room & a main floor study. 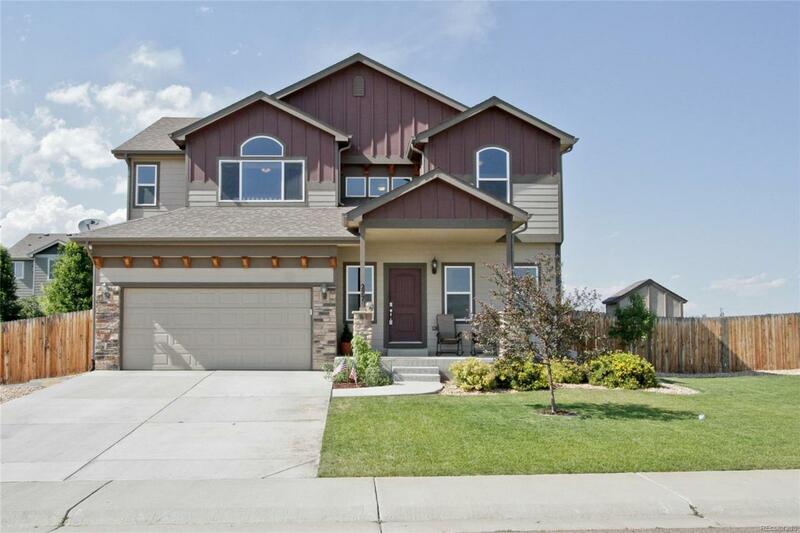 Upstairs boasts 4 bedrooms including a master retreat w/ sitting area, vaulted ceilings, walk in closet w/ custom closet system, second closet & 5 piece bath. The fully finished basement offers a family room set up for a theatre system w/ included screen & projector, 2 additional bedrooms, a full bath & storage. Upgrades in the entire home include granite countertops in kitchen & all baths, designer light fixtures, hardwood floors, designer tile, rounded corners & more! Enjoy the beauty of the outdoors on the corner lot overlooking the neighborhood park & tennis courts & relax in the fully fenced, professionally landscaped back yard with fire pit, kids playhouse & covered patio. Dream 3 car garage w/ extensive custom built overhead storage & storage shelving. Offered by Dream Climbers Inc.